Limerick artist, Una Heaton (who painted the delightful illustration above) has recently opened a new museum in his memory at Leamy House. A beautiful Victorian Tudor style building on Hartstonge St, which her family owns, that was once the very school that Frank attended. Visitors have starting come from all over the world clutching their copies of 'the book' (which the Museum stamps) and presents them with a keepsake stone. 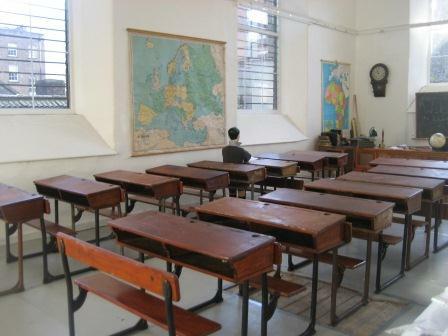 There is a replica classroom, bedroom and living-room with all kinds of memorabilia from bedpans to bicycles from that era. In fact you can physically 'stroll down memory lane' as in the back lanes of Georgian Limerick where the novel was set, on a combined Angela’s Ashes Walking Tour that takes in all of the places mentioned in the book which departs daily during the summer at 2.30pm and costs €10 for 2-3 hour experience. And the final twist in the tale? Sadly Frank McCourt died in 2009 but his actual 'ashes' are kept at the Museum. For further information please check website below for opening times which do vary off peak and admission prices that dont! 1 Peoples Park a peaceful green oasis that is the centerpiece of beautiful Georgian Pery Square, ornamental pagoda and childrens playground. 2 Limerick City Gallery of Art beside the main gate of the park, recently revamped this Gallery (addmission is free) has an excellent selection of national and international art and sculpture. 3 No 1 Pery Square located on the corner of Pery Square, this beautifully restored Georgian Townhouse is now a very stylish boutique hotel, check out the Spa downstairs, that was originally the coal store.! 4 No 2 Pery Square accquired and restored by the Limerick Civic Trust to preserve and promote an appreciation for Limerick's fine Georgian architecture, unfortunately it is currently closed but can be opened for private tours by appointment only. 5 Cafe Noir O'Connell St, very popular and a big Limerick success story. One of four outlets, designed to bring a French style coffee culture with a definite Irish twist to the city. 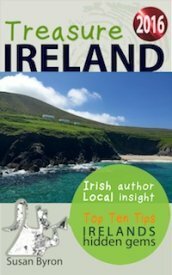 6 O'Mahonys Bookshop a total delight in this online age, a real live bookshop! and one of the few remaining in Ireland, huge selection in every category, that will keep you dithering for hours. 7 Souths Pub Quinlin Street where Frank McCourt had his first pint of Guiness, loads more photo's and memorobilia of Limericks most famous son. 8 Dolans Pub & Warehouse live traditional music every night of the week! with bigger gigs in the Warehouse or Upstairs venues, all day breakfasts and good pub grub. 9 Freddy's Bistro Theatre Lane, lovely old restored building with stone walls, timber floors on several levels, varied menu to suit all tastes and budgets, very popular. 10 Clarion Hotel Irelands tallest hotel! superb waterfront location, with great offers including €99 pps for dinner, bed & breakfast at the moment.